On Wednesday, January 13, Urban Venture Group Ltd. (UVG) consultant Burr Zimmerman offered advice to Miami faculty, staff, and students about understanding the mission and culture of the National Institutes of Health (NIH) in order to increase the odds of obtaining NIH funding. The seminar was sponsored by the Scripps Gerontology Center and OARS. First and foremost, Zimmerman says, is to understand that the NIH is a social organization. Therefore, it is imperative that applicants be in communication with an NIH program officer well before submitting a grant application. Zimmerman emphasized that as with any proposal, NIH proposals should be written to the review criteria. The NIH review criteria include significance, investigator(s), innovation, approach, environment, and additional review criteria. Finally, Zimmerman outlined the NIH review process and talked about how to decipher and respond to reviewer feedback. “Receiving a priority score and reviewer feedback equals success,” said Zimmerman. With funding rates of 20% and lower, the odds of being funded the first time an application is submitted are low. Keeping in mind Zimmerman’s opening statement about communication being the key to NIH success, attendees were encouraged to read and respond to reviewer feedback by revising and resubmitting following the initial steps of convening a comprehensive project team, sharing revised aims with the program officer, and then re-writing the proposal. Zimmerman ended by directing participants to the proposal-writing resources available on the NIH website as well as resources available through OARS. 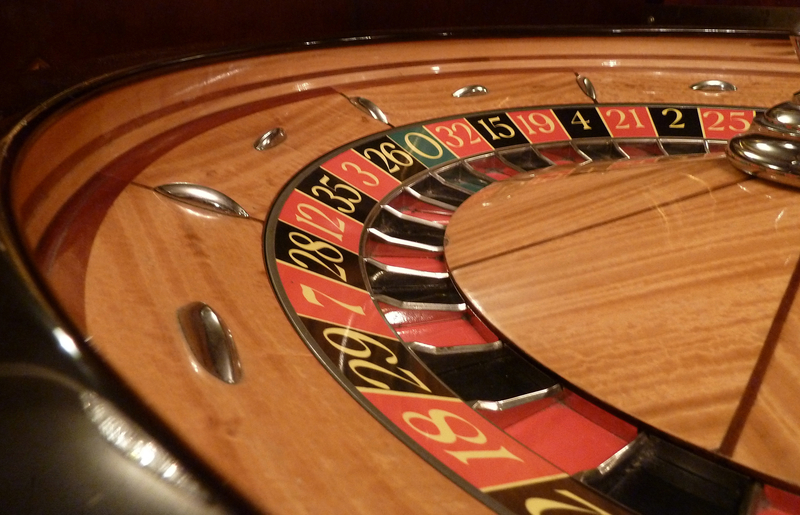 Roulette wheel image by Zdenko Zivkovic via Flickr. Casino dice image by davidgsteadman via Flickr. Both used under Creative Commons license. This entry was posted in Grantwriting, OARS news and events and tagged events, grantwriting, NIH, proposals. Bookmark the permalink.